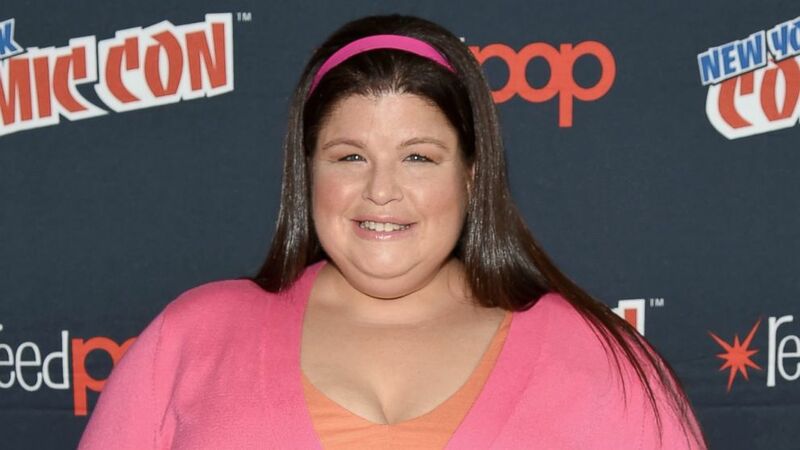 Lori Beth Denberg is an American Comedian and actress. She became a recognized figure back in the 1990s thanks to her appearance on Nickelodeon sketch comedy series All That. Here is all you need to know about Donberg including what she has recently been up to. Denberg was born on February 2, 1976, in Northridge, California. She had always wanted to become an actress and by the age of 6, she had trained herself enough to earn her roles in community theater. Lori also acted in many school plays. She attended Chatsworth High School in Chatsworth, California. Between 1997 and 1998, Lori became a regular panelist on Figure It Out. After her All That gig ended, Denberg joined The Steve Harvey Show where she played the role of Lydia Liza Gutman from 1998 to 2002. Lori joined her fellow All That castmates Josh Server, Kenan Thompson, and Kel Mitchell to appear in 1997 film, Good Burger. Read Also: Jordan Lane Price Boyfriend, Married, Net worth, Dating Macaulay Culkin? In recent years, Lori revealed a fact about her early acting years – that she bolstered her film paychecks by holding fundraisers for non-profits and also developing web contents for an advertising agency. Since 2002, Lori seemed to have disappeared from the spotlight, making only occasional appearances, like in 2004 when she appeared in a minor role in the film Dodgeball: A True Underdog Story and an episode of Malcolm in the Middle. In 2011, Lori reunited with her All That castmates for the Comikaze Expo where she revealed that she was no longer acting. “I’ve been living life. Now I’m enjoying my old age,” the actress told the media. So what is it that took Lori away from Hollywood? The simple answer is weddings, Yes! WEDDINGS, your teen comedy idol (hello millennials) is now into the business of weddings as an officiating minister, an ordained one. Lori revealed on her website that the job started as a joke. “It started as a joke when a friend I’ve had since the first grade decided to get married. They weren’t very religious and couldn’t decide on an officiant, so I jokingly volunteered,” she explained. Lori told ABC News that her first officiating job was so perfect that she was encouraged by friends to take it up further, and she did. While she was away from the spotlight, Lori got married to a certain Alexander Jardin, who unlike her isn’t a celebrity. The details of their wedding have been kept under wraps. It isn’t clear if the pair has started a family together, that is, in terms of making their own babies. However, speaking of families, Lori has an older brother, Adam who was born in 1972. Back in her early adulthood, Lori’s trademark was her fat body. Many curious fans have wondered if Lori has changed a bit from her All That days. Well, the truth is – NOT MUCH! Turns out Lori is among one of those who will rather live in a thick flesh than go through the rigors of weight loss.